Power and flexibility to the limit. 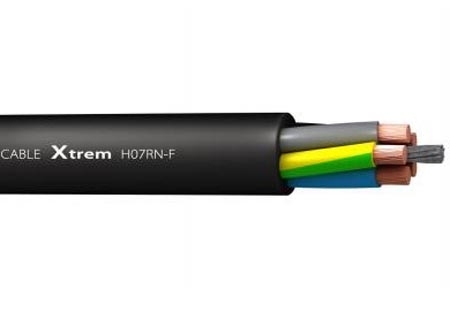 Top Cable Xtrem H07RN-F cables are designed to supply power to low voltage appliances including electric motors and submersible pumps in deep water installations as well as many other types of electrical equipment. 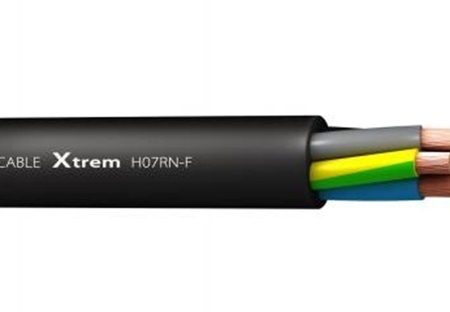 Due to its extraordinary flexibility and mechanical strength, the Xtrem H07RN-F cable is ideal for power transmission in both fixed installations or mobile services. 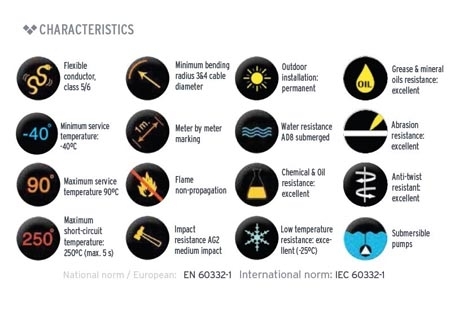 This cable has been manufactured using compounds which have much better behaviour than the ones specified in the standards, which makes it a versatile cable with a higher service temperature and voltage than those indicated in international standards. Nominal voltage up to 1000 V possible thanks to the high dielectric properties of the insulation material (according to HD 516). 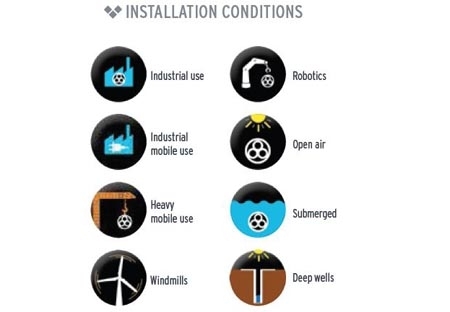 Insulation: Thermosetting rubber (type EI4). Outer sheath: Thermosetting rubber (type EM2). Black colour.